In addition, the space within a home or dwelling unit can be subdivided into habitable and nonhabitable space. If a room is to be used for sleeping, living, cooking, or dining, the room is considered by the building code to be habitable. Rooms such aas closets, pantries, bath or toilet rooms, hallways, utility rooms, storage spaces, garages, darkrooms, and other similar rooms or spaces are conidered to be nonhabitable.Designing a home is one thing. If this is a new home you will need to know where you can place it on the property where it is to be built. Building codes, such as the International Residential Code (IRC) divide structures into different categories that are dependant on how the building is to be occupied. For example, is the building going to be a hotel, an apartment building, a convent, a single-family dwelling, or a lodging with more than ten inhabitants? Single-family residences and apartments with fewer than ten inhabitants are defined as R-3. An R-3 designation allows the use of the least restrictive type of construction and fire rating group. This tip will describe where on the property in relation to the property lines or boundaries you can place a dwelling of a type R occupancy per the building code. This tip will also explain special provisions that will allow placement of dwellings closer than 5’ to a property line. 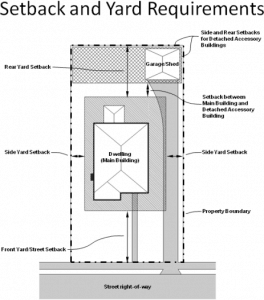 As just stated, the exterior wall of a residence cannot be located within 5 feet (914mm) of the property lines unless special provisions are met. Normally, if you plan on placing an exterior wall within 5 feet of the property line, the exterior wall must be made from materials that will resist a fire for one hour. This is known throughout the industry as a one-hour wall or one-hour fire rating. For a wall to be to be given a one-hour fire rating it must meet the standards set by ASTM E 119 or UL 263. The ASTM International is an international standards organization that develops and publishes voluntary consensus technical standards for a wide range of materials, products, systems, and services. Some 12,575 ASTM voluntary consensus standards operate globally. One place to see this list of standards is: https://en.wikipedia.org/wiki/List_of_ASTM_International_standards. Per these standards, a 5/8 in. or 1/2 in. thick gypsum wallboard is required on both sides of the exterior wall to achieve a one-hour fire rating. Using 5/8” (16 mm) type X gypsum board on each side of the wall is common. The IRC allows a 1-hour fire wall to be placed right on the property line if the dwelling is equipped with fire sprinklers. Openings such as doors or windows are not allowed in an exterior wall if the wall is less than 3’ from the property line. However, if the wall is at least 3’ away but less than 5’ away, doors and windows can be added as long as they do not take up more than 25% of the wall area. Of course, if the wall is more than 5’ away they is no limit as to how many doors or windows can be included in the wall. There is also no limit to the number of doors and windows if the dwelling is equipped with fire sprinklers and it is at least 3’ from the property line. Projections, such as a roof or chimney, cannot be less than 2’ from the property line. The projection is allowed if the wall is 2’ or more but less than 5’ from the property line and has a 1-hour fire resistance rating on the underside of it. The roof eave fire resistance rating can be reduced to 0 hours on the underside of the eave if fire blocking is provided from the wall top plate to the underside of the roof sheathing. If this is a gable end, the roof eave fire-resistance rating can also be reduced to 0 hours on the underside of the eave provided that any gable vent openings are not installed. If there are any penetrations, such as pipes, tubes, or conduits, the penetration must comply with IRC section R302.4. 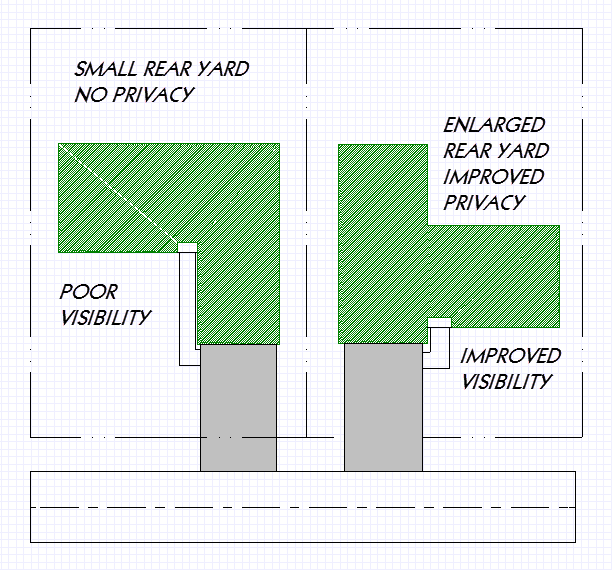 Detached garages located within 2’ of the property line may have a 4” eave projection. Always check with the local building department as they may have different requirements than what is stated here. 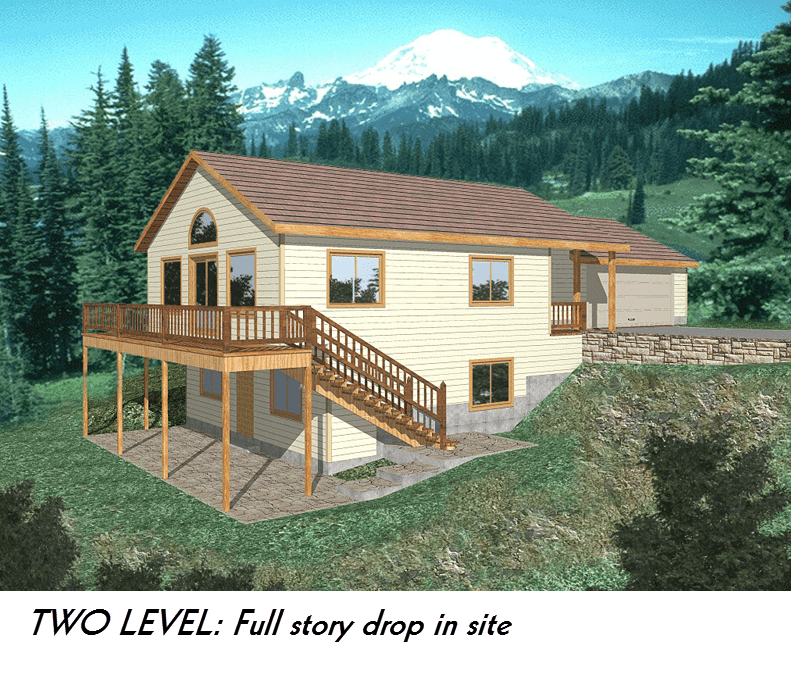 The following illustration is taken from a local building department in the state of Washington. You will also need to check with local requirements for front and rear setbacks. Also, easements through the property will further impact on where you can build. All setbacks and easements will need to be shown on a site plan, which is usually required by the local building department before a building permit will be issued. 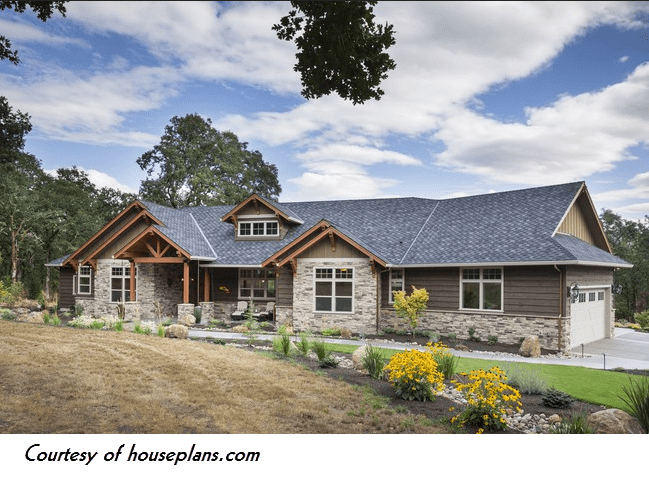 The design of a home will usually depend on the style the client has in mind. Other important considerations include the exterior of the home, and the site. The neighborhood where the site is located is an important consideration. You would not want to build a $800,000 home in a neighborhood of $200,000 homes. I’m not trying to be politically incorrect here and don’t assume that I’m saying that someone living in the high priced home cannot get along with neighbors. Realistically, however, the resale value will probably suffer. Also, the style of the houses in the neighborhood should be considered. Of course, you don’t want all the houses to look the same, but there should be some unity of design, which will go a long ways in keeping the value of all the properties in the neighborhood high. 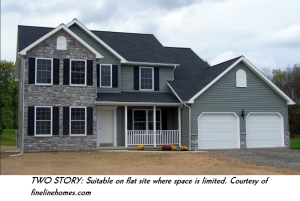 You will want to check to see if the neighborhood or area where you want to build has some sort of building or architectural committee. If there is a committee they will probably have a review board, which is usually made up of the residents who will decide what will or will not be built. This board has probably made up a set of rules or covenants that include minimum square footage, height limitations, and the type and color of siding and roofing materials. You may be required to submit a preliminary design of your project to this review board. 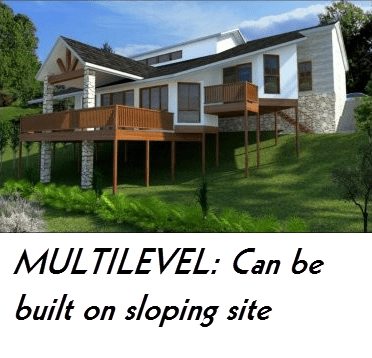 You will need to look at the site you are going to build on as access to the site will have a major impact on the design of the house. If it is a narrow lot you will need to carefully consider the home’s entry and location of the garage. Typically, only a straight driveway is used on interior lots because of the restrictions of a narrow lot. The following illustration demonstrates this. 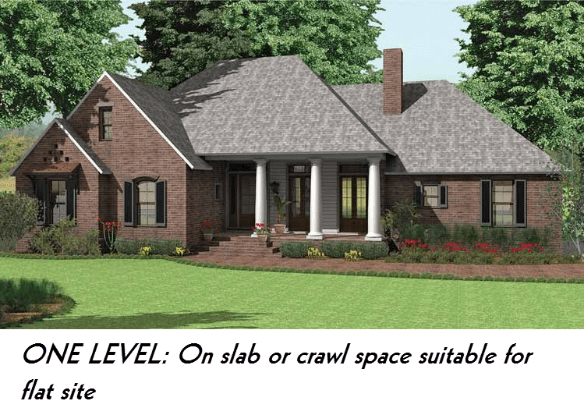 A corner lot will give you more flexibility in garage and house placement. At least one main entrance to the house that meets one of the following conditions: the main entrance cannot be offset more than 6’-0”from the longest wall of the house that faces the street, or the main entry must face the street, or be at an angle of not more than 45⁰. The street facing exterior walls of the house (front façade) must contain windows that take up at least 15% of the front façade’s area. The length of the garage exterior wall facing the street may not be greater than 50% of the length of the entire façade of the home. A garage exterior wall that faces the street will not be allowed to be closer to the street property line than the length of the longest street-facing exterior wall of the home. The following illustration demonstrate this. 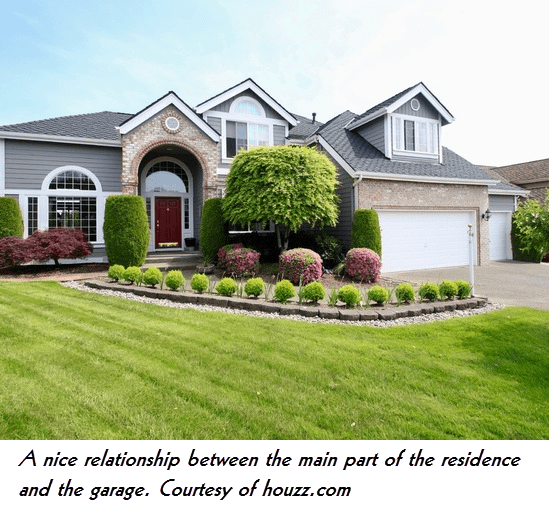 The following illustration shows an example of a pleasing relationship between the garage and the balance of the home. You may want to remove the garage altogether from the front of the site. It is becoming popular to move the garage to the rear of the site so that no driveway or parking is provided on the entry of front side of the house. Instead, an alley provides access to cars. If you are planning to build on a rural site, you will want to study the weather and the terrain and determine how access will be affected. Some areas may become inaccessible during parts of the year because of poor water drainage or drifted snow. 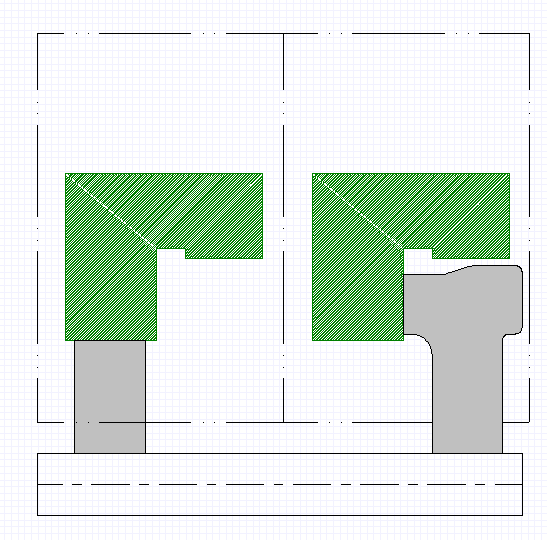 Also the shape of the land will help you determine where the access to the house can be placed. The following illustration shows a garage carefully blended into a home on a larger lot. Other considerations will also need to be considered, such as site orientation, which is the placement on the property in regard to certain environmental and physical factors. These factors include terrain orientation, view orientation, solar orientation, wind orientation, and even sound orientation. Of course site orientation is pretty much predetermined if you are building in a residential subdivision where all the lots are 50’ x 100’ and the street frontage often dictates the front of the home. 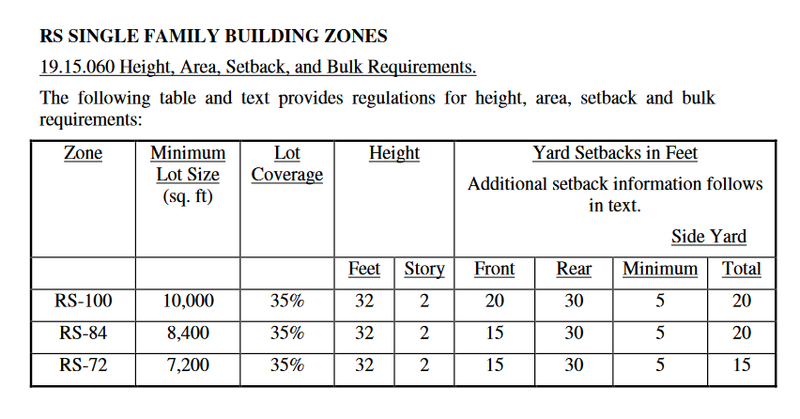 The property line setback requirements do not allow much flexibility in residential subdivisions as well. The following illustrations demonstrate how terrain orientation can help to determine the type of home to build. If you like this tip, you can find more handy ways to improve your 3D home design software skills by picking up your Chief Architect X9 tutorial book at ChiefApprentice.com.